With the demise of Samir Amin—an indispensable component of the new genre of the Radical Political Economy School of Marxism—the Global South has lost an important intellectual prime mover of its history. A critique of the capitalist world-system/imperialism, the ultra-right regimes and reactionary forces across the world, Amin had talked and written about strategies of transforming the world through political action and social interventions. His ultimate aim was obviously to liberate the Global South and thereby demolish the North-South polarization. It was since the 1950s and 1960s that radical political economists like Samir Amin, Paul Baran, Paul Sweezy, Arghiri Emmanuel, Giovanni Arrighi, Andre Gunder Frank, Immanuel Wallerstein et al. set in motion a wave of studies and perspectives on the nature and working of the capitalist world system and the place of the Global South countries within it. Their major aim was to unravel the processes by which the Global South has been amalgamated into the ‘centre’ of the Global North. They had also demolished the notion that the Global South countries would get elevated to the ‘centre’ in sharing the global prosperity. Amin and his contemporaries sought to problematise the development/underdevelopment paradox in the global accumulation matrix. The dependency/world-system analyses thus brought in debates across social science disciplines. Writing a tribute to his contemporary Andre Gunder Frank in 2005, Amin said that they “were found themselves in similar agreement with the ‘world system’ school of thought introduced by Wallerstein in the 1970s. He wrote that despite differences, they established themselves as a gang of four’ (Amin, Arrighi, Frank and Wallerstein), even authoring two volumes (Amin 2005; Amin, Arrighi, Frank and Wallerstein1982 and 1990). In another tribute to Giovanni Arrighi, Amin noted that Arrighi, Frank, Wallerstein and himself believed that “capitalism had entered a phase of systemic crisis, marked by the fall in growth rates in its dominant cores…” Arrighi “associated this crisis with the decline of US hegemony” and “focused on the upheavals of the labour movements, which were perhaps the social movements most implicated in the crisis (Amin 2011). Though the ‘gang of four’ shared the broad features of the historical trajectory of the capitalist world system, they differed on specific details of the cycles of change and the patterns of transformation within and across the system. For example, while Amin more or less operated within a two-tiered world-system, Wallerstein insisted on having an intermediary category (semi-periphery) between the core regions—with strong states that can enforce unequal exchange relations favourable to themselves—and the periphery made up of exploited regions characterized by a dependence on the export of low-wage products. In Wallerstein, the semi-periphery acts as a buffer producing both high-wage and low-wage products continuously, exploited by the core but, in turn, exploits the periphery. On the other side, Frank’s world system only includes developed (metropole) and underdeveloped areas (satellites), but also those which are ‘partially-developed’—seemingly limited to a few areas of the world system. There are differences between Wallerstein and Frank too—about which country should be included in what category. However, for Amin, internal structures are always constrained by the global context. He agreed that those Third World social formations appeared to be different articulations of modes of production, and the diffusion of capitalism leads peripheral societies increasingly to resemble one another. 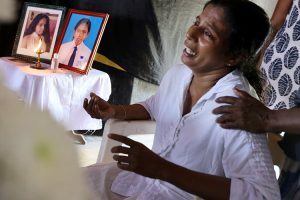 Way back in the early 1970s, Amin wrote that “real, autonomous self-centred development” cannot occur when the periphery breaks the chains that link it to the centre. It would be a necessary prerequisite but eventually it is not sufficient: the aim must be the creation of the “global socialist society” (Amin 1974) and the stimulus for this would not come from the centre but from the periphery. However, when it comes to exploring the political possibilities of ‘global socialism’ Frank, Arrighi Wallerstein and Amin were equally pessimistic. Notwithstanding the persisting crises, the capitalist world system continued to survive , increasingly incorporating ‘socialist societies’ which compromised their avowed principles and dilute their revolutionary commitment by helping perpetuate a system based on the exploitation of the world’s poor by the international bourgeoisie. Amin argued that ‘globalised neoliberalism’ with its constituent dogmas (privatization, free trade, flexible exchange rates, cuts in public spending) “cannot last because they shut capitalism into a fatal stagnation, shutting all the doors that might let it overcome the slump and begin a new growth path” (Amin 1999:37). He said that contrary to the popular notion of ‘pure economics,’ “markets are not self-regulating. To work they need government regulation” (Ibid). Amin later called for a revolt against North-South polarization. He believed that “a humanist response to the challenge of globalization” accelerated by the capitalist expansion might be “idealistic but it is not utopian” (Amin 1997:10). He would characterize it as “the only realistic project possible.” Amin added: “If only we begin to develop it, powerful social forces will rally to it from all regions of the world” (Ibid: 10-11). As a committed activist scholar, he underlined the need for developing “world organizational forms which are more authentically democratic so as to be capable of reshaping economic relations on the basis of diminishing inequality” (Ibid: 11). Amin also said that “high priority should be given to reorganizing the global system around large areas which group together scattered parts if the peripheries. Thus would be the place for the constitution of Latin American, Arab, African South-East Asian regions, alongside China and India…” He proposed that this objective should “receive the priority treatment of the Non-Aligned Movement.” Amin further reminded that “the transformation of the world always begins by struggles at its base. Without changes in ideological, political and social systems, at the national level, any discussion about challenging globalization and polarization remains a deal letter (Ibid). While saying this, Amin also called for greater vigilance in understanding various movements within. For example, his criticism of religious and ethnic movements focussed on various fundamentalist, reactionary forces at play. Being critical of political Islam, Amin tended to see it aligning “itself with the camp of dependent capitalism and dominant imperialism.” He says that political Islam “defends the principle of the sacred character of property and legitimizes inequality and all the requirements of capitalist reproduction.” Amin categorically said that political Islam “is not anti-imperialist, even if its militants think otherwise! It is an invaluable ally for imperialism and the latter knows it. It is easy to understand, then, that political Islam has always counted in its ranks the ruling classes of Saudi Arabia and Pakistan” (Amin 2007). Amin was equally critical of postmodernism and called it as a “neoliberal utopia in disguise” (Amin 1999:77-101). He writes: “The ‘low intensity’ democracy resulting from this has become extremely vulnerable, and the recrudescent appeal of various fascist movements gives grim testimony to that fact” (Ibid: 100). Amin seldom left out issues of the contemporary times from his critical scholarly engagements. 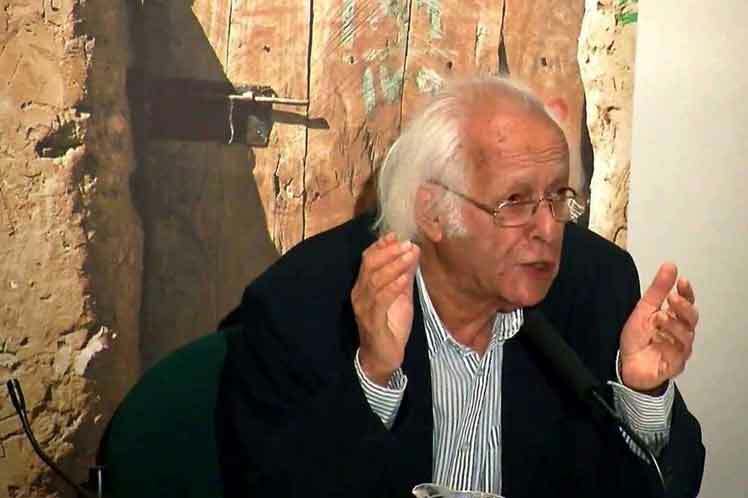 In an interview Samir Amin had said that “this neoliberal phase is in state of collapse. It doesn’t mean that capitalism is collapsing; but that its current form is collapsing and we’re entering a new phase. It has to adapt, and whether the new system will be biased to the ruling class or the masses, is still be revealed” (Ahramonline 12 August 2018). However, Amin’s concerns for the survival of Global South remained throughout. Amin, Samir (1974): Accumulation on a World Scale, New York: Monthly Review Press. Amin, Samir (1997): Capitalism in the Age of Globalization, London: Zed Books. Amin, Samir (1999): Spectres of Capitalism, Delhi: Rainbow. Amin, Samir/Arrighi, Giovanni/Frank, Andre, Wallerstein, Immanuel (1982): Dynamics of Global Crisis, New York: Monthly Review Press. Amin, Samir/Arrighi, Giovanni/Frank, Andre , Wallerstein, Immanuel (1990): Transforming the Revolution: Social Movements and the World-System, New York: Monthly Review Press.